Breastmates - loved by mums since 2004. Online store – supporting mums throughout pregnancy and post-baby. Easy online shopping, every product you could need, tips advice and overnight courier! At little whimsy we curate for you a collection of children's toys, décor, prints, books and accessories. We make shopping for the little ones in your life easy! From capsule, to bassinet, to buggy, to cot - one special, high quality, generous sized wool baby blanket will last the distance. A gorgeous blanket by Heirloom Baby Ltd will be well used, kept and remembered. 100% Merino. Made in NZ. Recommended by fertility specialists. Vitamenz and Vitawomenz are a unique blend of essential vitamins, minerals and antioxidants for fertility support for both men and women. Welcome to The Baby Bag. We deliver New Zealand’s widest range of baby supplies on a super quick service. Hevea is a Danish company producing natural rubber baby products that are beautiful, non-toxic and sustainably produced. 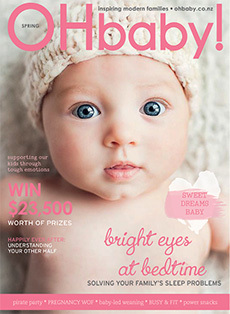 Qbaby’s nurturing products mean calm, rested mothers and babies. CHOOSE SAFETY CHOOSE THE Safe T Sleep® Sleepwrap® Since 1992 hundreds of thousands of babies worldwide have slept safely with the original, trusted and Independently Hospital Clinically Proven Safe T Sleep Sleepwrap and little MULTIwedge. CHOLINE: VITAL SUPPORT FOR BABY’S BRAIN DEVELOPMENT! Whether you are trying to conceive, pregnant or breastfeeding it really is all about what you eat. Artemis’ baby range of traditional plant medicines, specifically formulated for newborns to 6 years old, includes Kids ViroGone,™ Kids Chest Relief Day, Kids Chest Relief Night and Baby Gripe Tea. In-Home Childcare. We’ve been providing Natural Childcare for over 24 years, replicating the comfort and security of home, as well as the routines and values that are built there. Hi, it’s Maja here, from Foodie Babe. As a busy, over-achieving, working mum, I totally understand what a juggle family life can be. The Natural Instinct skincare range is 100% free of harmful chemicals and uses only the finest plant-derived ingredients, certified organic extracts and pure essential oils to help nourish, revive and rejuvenate for naturally beautiful skin. Does your baby or toddler have trouble sleeping? Happy babies and toddlers are the joy of our lives and good sleep is the very foundation of this! We know what it’s like to have dribbly babies, or deal with eczema, reflux, and whatever else our precious little ones like to throw at us! We also know that you want quality products for your babies that are both practical as well as stylish. Pregnancy is exciting and a time of great change. At babycity we are here to share your journey from pregnancy through into motherhood. Our expert team is ready to listen and help with the many decisions you will make for your upcoming arrival. Babies, bees and an iconic Kiwi brand. When you have 14 children, you know exactly what babies need. That’s the secret to Dimples success. A child’s needs come before they’re born and even before they have been conceived. So if you’re trying to fall pregnant then you should take Elevit with Iodine. At Pixie Party Supplies we love helping you create the perfect party or event! We stock a wide range of stylish partyware & decorations from New Zealand & around the world. With a unique, choice-driven approach to quality early childhood education, Evolve offers you the best selection of options for your family’s needs. Postie has a great range of clothing for babies from new-born all the way up to 18 months at everyday low prices starting at $5. Lansinoh has been supporting breastfeeding mothers for over 30 years and our aim is to help you to continue to breastfeed as long as you like. Heal life’s little accidents naturally with Medihoney® Adhesive Dressings from Comvita®. The Gathered Store is a beautiful online children's boutique filled with products for design-conscious mamas, papas, and the young at heart. Fresco Nutrition Goat Gold Plus Toddler Milk Drink is specially formulated for active toddlers aged from 1 year whose regular diet may need supplementation to support their development and growth. Auckland Obstetric Centre is a unique practice in Parnell made up of six leading specialist obstetricians and support staff. Visit our website or contact us for more information. Use your favourite baby photo to create unique, personal and professionally printed cards online in 4 easy steps. Beautiful cards for baby thank you and birth announcements your friends and family will adore.